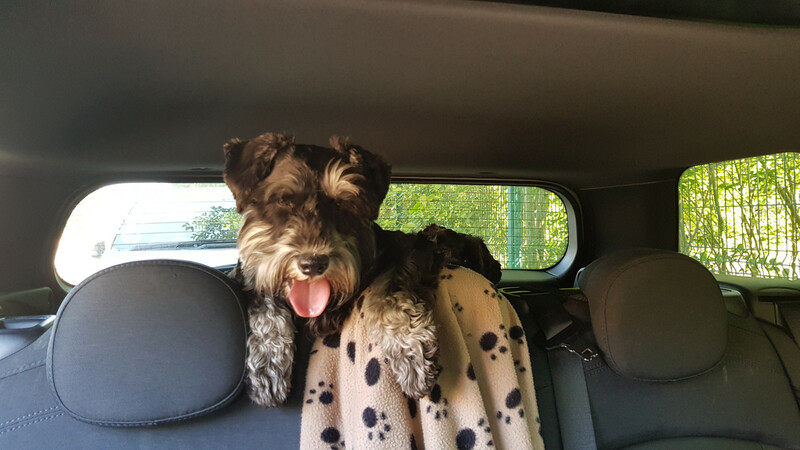 This is typical Sasha, in my wifes car after a walk but hanging over the back to let us know she is still there! Two lovely dogs Mike. Sasha looks gorgeous and I love the slightly aloof look in her eyes in the second photograph. Do they always do things together Mike? I was just wondering what would happen if you were take Oscar off to do something would Sasha follow to see what was going on? I love the pics and have just shortened my girls beard too. ( also legs and skirt)..summer over here is getting so hot,32 C and moving to 40 c according to the weather predictions.. 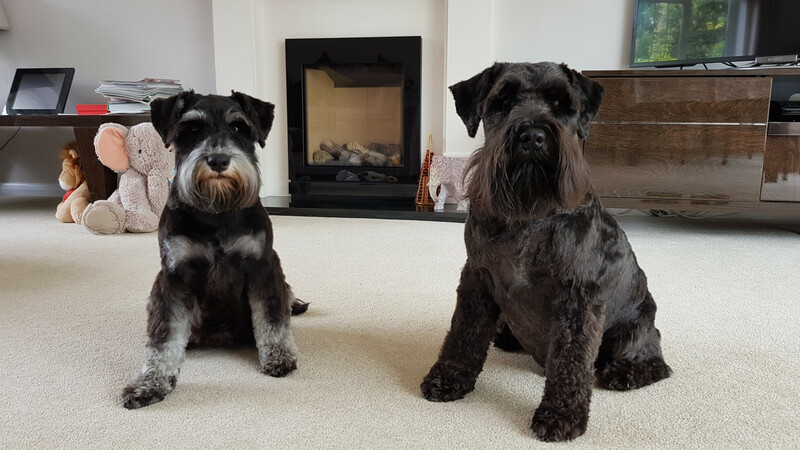 When I see two lovely schnauzer together I am swayed towards getting another later down the line...you are definitely convincing me in your pics. I find the girls so much easier than a male......I'm am convinced to have a female next time for sure. They do things together all of the time, although I think Sasha looks for and wants to be with Oscar, more than the other way around. I put that down to the fact Oscar spent 2 years on his own where as Sasha came in and Oscar was already there. So he had to learn to "make friends" with other dogs when out and about, where as Sasha isn't interested, she constantly wants Oscars attention. If he plays with other dogs, after a couple of minutes she barges her way in, forces them away so she can play with Oscar. When out in the garden, she is happy to explore on her own but she is happier if Oscar is with her, so she can play with him and follow him around. Not rambling at all Mike, so lovely to hear about your two and lovely lovely photos. Sasha looks like Otto in those shots, similarly he doesn't like being told off at all, he looks quite hurt by it whereas my first would just look at you as if to say "are you talking to me" and then yawn. I am considering adding a female to the family in a year or two. I love the way you describe their relationship. I would want them to be the best of buddies. 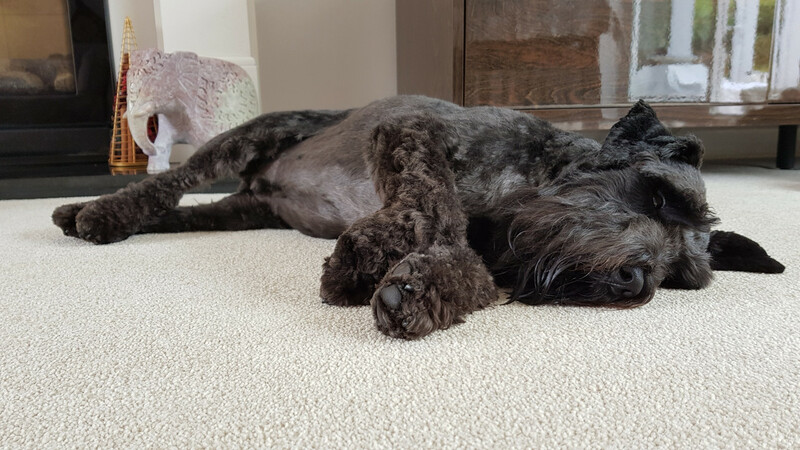 Otto would absolutely adore a little friend I am sure. Otto's beard will never grow as long as Oscar's, it looks very impressive. Thanks very much Julie and Leigh - just one last thing as you mentioned Oscars beard. 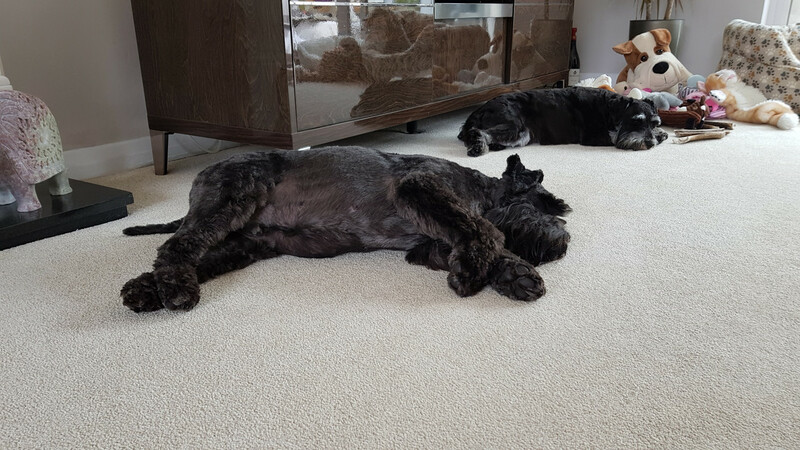 I tell the groomers every time I take them both, "do not touch Oscars beard" - they even joke about it with me now, "shall we trim Oscars beard this time" they say with a smile. 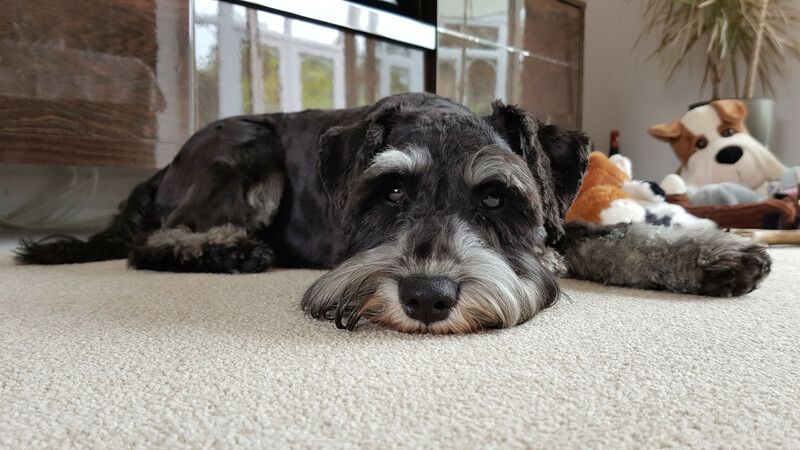 I have seen some cracking pictures on here of Schnauzers with long beards so I am determined that Oscar will have one too!